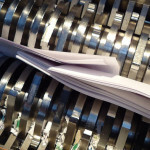 The document shredding service on-site is the best way to destroy their confidential documents. 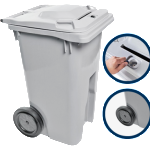 The document shredding service on-site is the best way to destroy their confidential documents. We come to you directly to give you the opportunity to watch the destruction of your documents by our qualified and well certified employees. Our service is fast and very safe. We want to develop a good relationship with our clients. Our qualified team is certified and will arrive at your offices with a truck equipped with cutting edge technology that can destroy 150 boxes an hour. This means time and money saved for you! Our prices are fixed on the volume or the number of box you have to destroy. 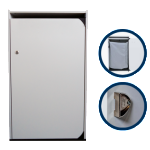 When a service contract is signed, we equip you with one (or several) safes of 240 litres or console to store your confidential documents. 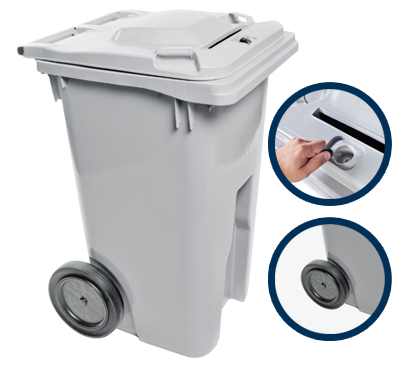 All of our containers have a lock and a slot for filing it of confidential documents. This is a perfect solution for everyday document destruction. Every visit, we provide a certificate of destruction that contains the quantity of documents destroyed as well as the date and time of destruction. We also recycle your office paper. All the shredded paper is brought to a recycling center for an environmentally sound job. Our mobile destruction trucks are equipped with cutting edge technology that can destroy 150 boxes per hour. 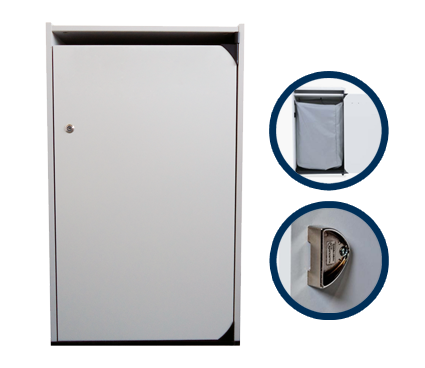 Secured locked +/-80 liters console, dimensions: 36inches high, 21.5inches large, 16 inches deep.